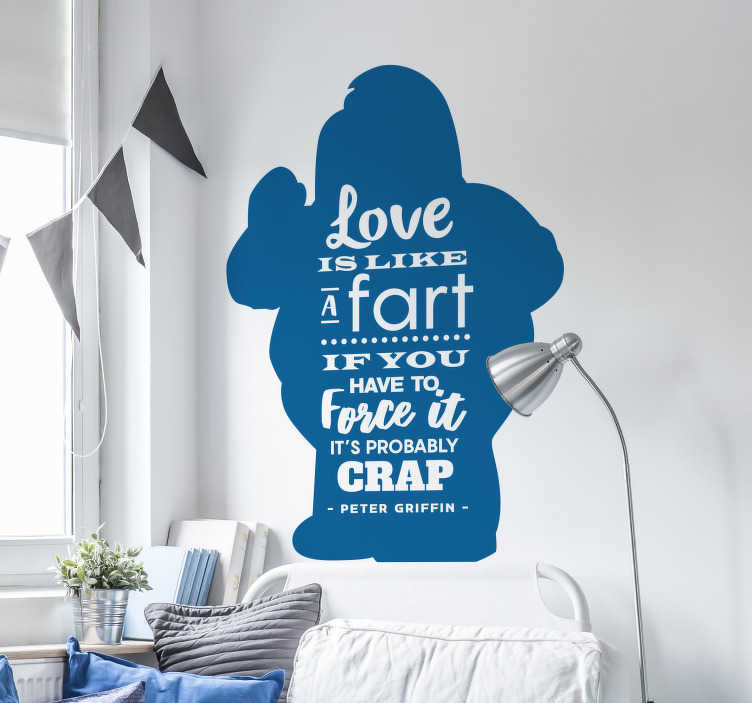 ´Love is like a fart. If you have to force it, it´s probably crap´. Now, Peter Griffin and Family Guy are known for comedic quotes more than their profound quotes, but this one achieves both of those goals at once - It will definitely make you laugh, while also making you think! That is why it is a fantastic vinyl sticker for the homes of anyone searching for some comedic decor to add a bit of fun!